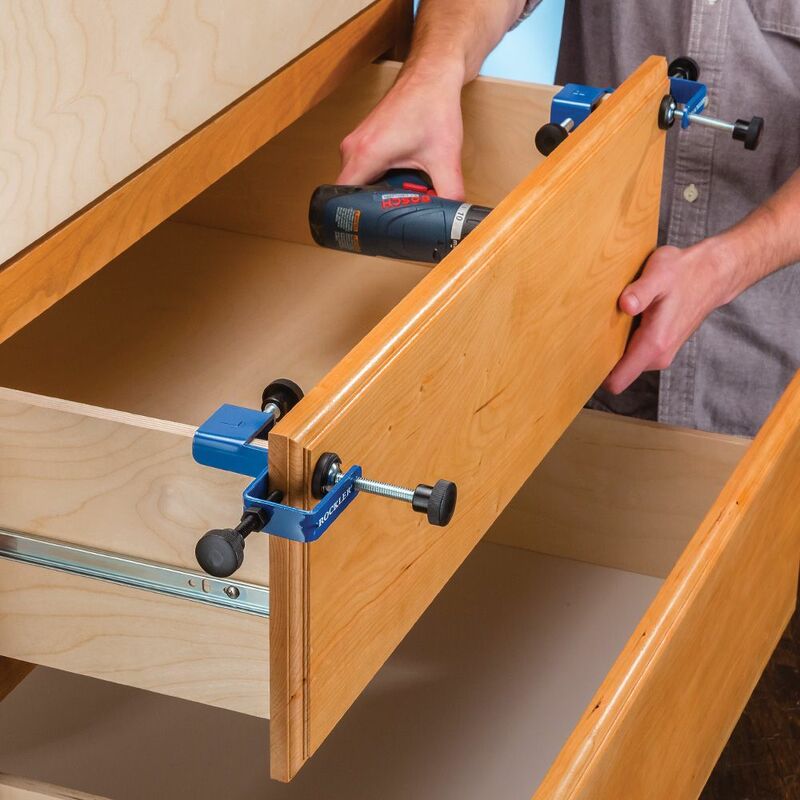 These handy clamps hold drawer fronts firmly in position on the drawer box while you drive the screws. 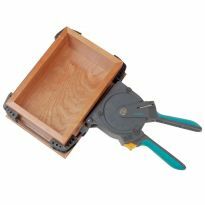 Securing drawer fronts to their drawer boxes can be a challenge, but it's a challenge these clamps are more than up for. 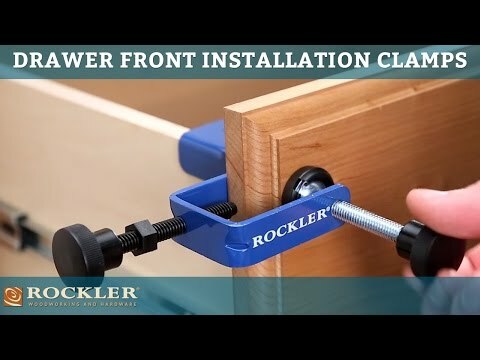 With their dual clamp heads and micro-adjustable stops, the Rockler Drawer Front Installation Clamps make getting perfect alignment a cinch. 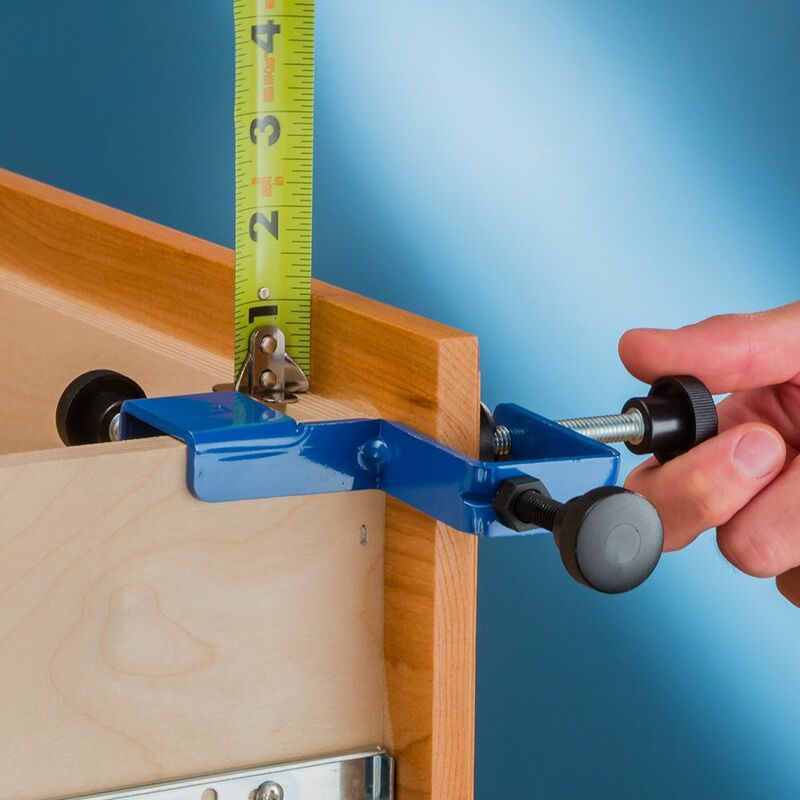 The thin frame profile allows you to close the drawer while the clamp is still on, making it easy to check your alignment with adjoining drawer faces. 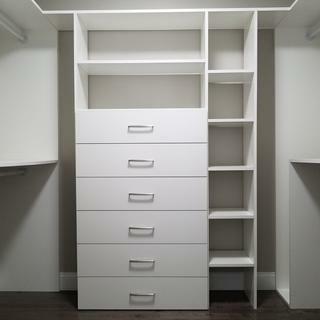 Once the micro-adjusters are set, you can work your way through a stack of drawers in no time flat. 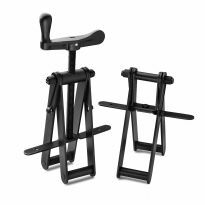 Simply clamp the front in position and use our Drawer Front Adjustment Screws (#34734, sold separately) to fasten it in place. Sold in left/right pairs. Only light clamping pressure is necessary. makes installing draw fronts a breeze. There is a slight learning curve as with all new gadgets. The most important feature is it help with consistency. They work great!! only problem is the screw threading wore out, but hat could be because my employee has a tendency to over tighten things. Don't try mounting drawer fronts without these. I built a complete kitchen with full overlay (Euro-style) doors & drawers, and couldn't have properly positioned the drawer fronts without them. Easy to use! 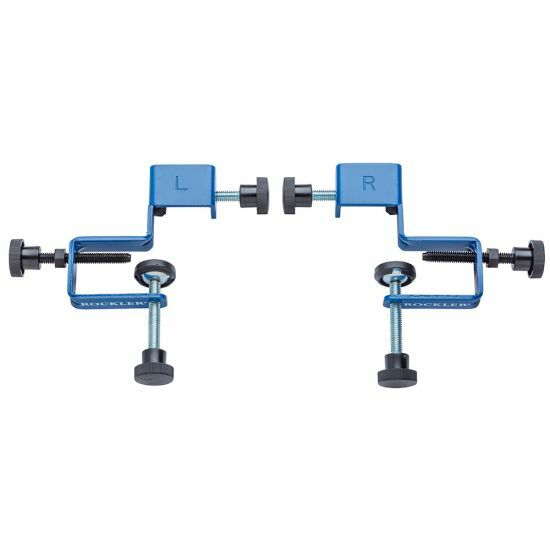 These clamps are well designed and very helpful for getting that perfect alignment on your drawer fronts. 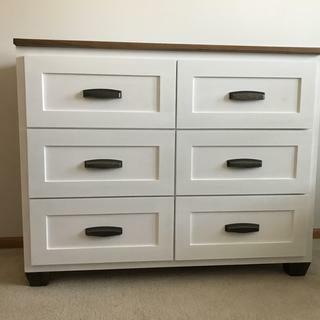 It made my first attempt at drawers a lot more simple. I had 8 drawers that had to be perfectly aligned and this tool made it easy to space and align. I highly recommend. My husband wanted them for his birthday. He thinks they are great. Used this slide to replace a broken OEM slide in a chest of drawers. It was an easy installation and offers a much smoother operation than the original. Wow.. hope whoever came up with this idea got a raise! Super idea; quick and easy to do 3 drawers with no guesswork or "3rd" set of hands to help hold the 'fronts' during installation. Really, ... for the price and convenience... a no brainer! Used them once so far. They work perfectly! Clamps were easy to use and adjusted well for different drawer styles . Excellent product!! Finally got around to using these yesterday. 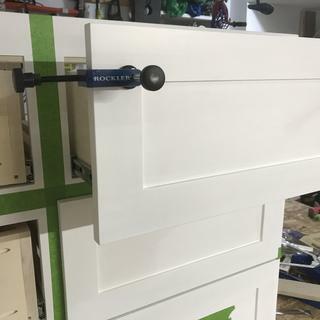 Absolutely the best way to attach drawer fronts. Very easy to set up and adjust the front side to side. No more guesswork or eyeballing. Clamp’em and screw’em. These are the most amazing set-up jigs I own. It's never been easier to install drawer fronts. This is an easy to use well designed jig for mounting drawer fronts during the cabinet building process. It is quick and aligns them acurately. Nice to have !! Building drawers for the first time led me to purchase a pair of these fixtures, which allowed me to easily align and set the drawer fronts. It was much easier to attach the face board with this tool. These clamps were extremely helpful in completing the installation of the drawer fronts. 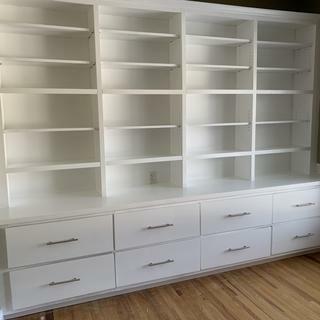 I would recommend them to anyone building a cabinet. Easy to use even for a beginner! It's so easy to use! While I waited for this, I tried everything to install a drawer front with no luck, stayed crooked. Then this was delivered and five minutes later, I was done! Drawer clamps are an excellent purchase for either one or multiple projects. These clamps worked perfectly! They hold the drawer front securely while dialing in the measurements - allowing minute adjustments w/ the thumb screws so the pilot holes are dead on! Super glad I bought these clamps. They worked so well I didn’t use the 20mm drawer front adjusters - may never have to! Mounting Drawer Faces was a Nightmare for Me....Then I purchased these .Worth every Penny.Makes the Process a Breeze as long as the Drawers aren't right up against a Wall. Had 19 drawer fronts to put on. These made it quick and easy. A brief scan through the instructions and I was installing drawer fronts like a pro. A quality piece that will last a lifetime. 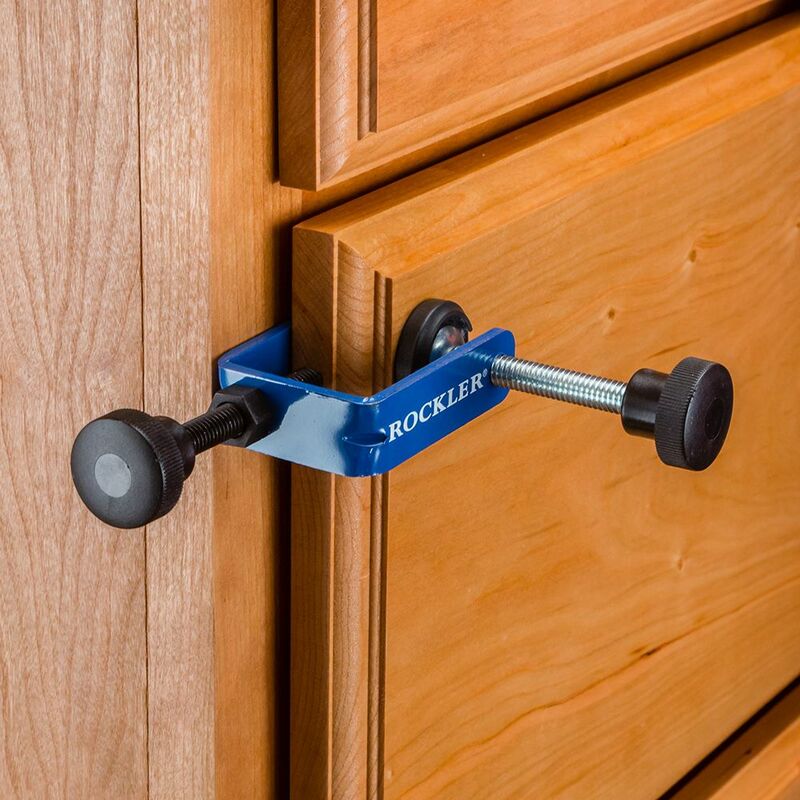 Don't do it the hard way, get an extra set of "hands" from Rockler! I use these clamps all most daily and what a time saver. these clamps are your go to jig. We have another big job coming up soon and plan on ordering two more sets. aligning drawer fronts is much easier and faster with these clamps especially when doing it single handedly. I have put several drawer fronts on in the past and it has always been a hassle. Trying to get the drawer front lined up properly, top, bottom, sides etc gets to be tedious and most of time has to be done over and over until you get it right. With these clamps, it's "set it and forget it", especially if you are putting drawer fronts in a row vertically. 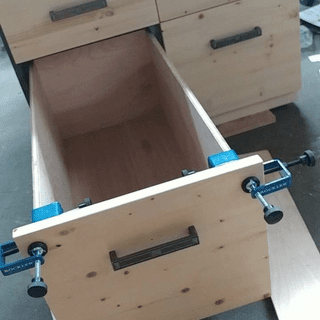 These clamps really make drawer front installation a snap. These are so handy and made installing the faces on our desk so much easier. Making slight adjustments is a piece of cake. I appreciate that the drawer face can be much taller than drawer box. I'm only an intermediate woodworker at best, and I found these to be very useful and definitely recommend to someone starting out making drawers. Just the thing for aligning those drawer fronts. 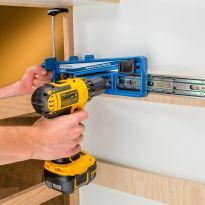 Great clamp for installing drawer fronts. Make it so easy! Took the pain out of putting on drawer fronts and made a 2 day job, one that lasted a few hours. So easy to use! Excelent product much better than previous ones I’ve used before. I use professionally as a carpentry contractor. I should have bought these a long time ago, what a time saver when replacing drawer fronts. I always dreaded installing drawer faces but with this tool, it was a breeze and made it easy to be extremely accurate. Worth every penny. Made the job much more manageable and the results were outstanding. Never knew these exhisted. Makes installing drawer fronts a breeze. I have installed my fare share of drawer fronts. Never had it so easy and fast! 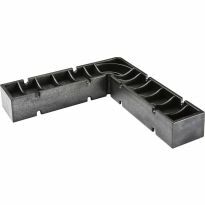 This product makes the installation of drawer fronts simple for DIY projects. Highly recommend this product. Going to need these in the near future making several draws. Will be helpful! Have been using double sided tape to hold while tweaking - making it a bit of a pain to reposition. These should greatly simplify. Looking for better and faster way to install drawer fronts. Revamping the kitchen to have all drawers on the bottom. I need it for my next project. 8 drawer fronts to install, well worth the cost! Was trying to get the everyday free shipping, but the everyday free shipping is not evidently everyday. I have been nailing front on to open drawer then screwing from inside.this will work much better without nail holes to fill. I recently put drawer fronts on with many problems, and could have used these to make the job go much faster and more accurately. 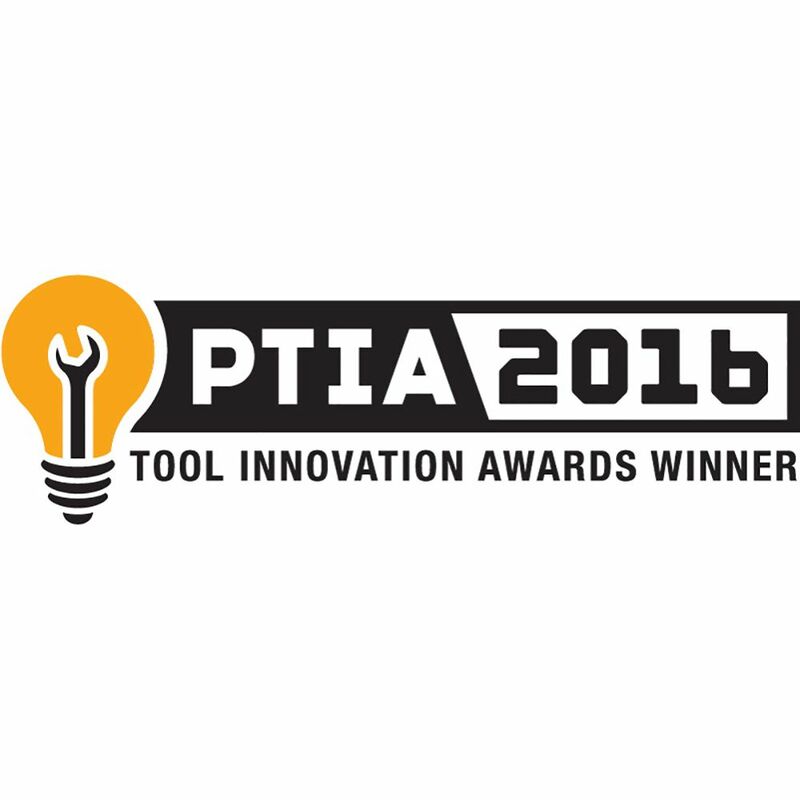 I"ll look forward to using these tools next time! To add the face plates to my new shop cabinet drawers and some other projects. 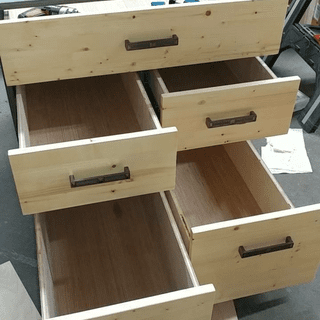 Customer comments and the appearance of a practical way to mount drawer fronts! I have plans to build desks and shop furniture with a lot of drawers in the near future, so the sales price made it a good time to buy. However, the more ease of installation you can create in your projects, the faster you can complete them. I only have two hands for a job that needs 3.
to ascertain drawer fronts are lined up. have 49 shop drawers to put fronts on. Will save me a lot of time! Was not born with 4 hands. Basically my helper when building drawers. Hands free is great. Hoping it is easier than double face tape. 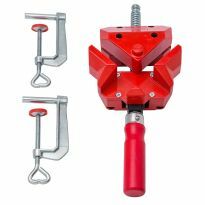 This tool has to be easier and more accurate than trying to hold a drawer front in place while using conventionally styled clamps. 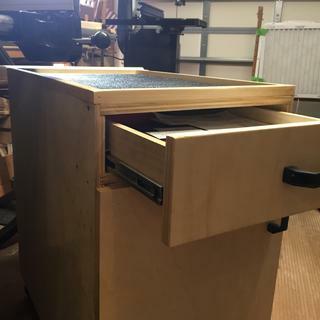 Will make positioning drawer front easier. Making several drawers, thought these would help with installation. Make a lot of cabinets and wanted to see if this would make mounting drawer faces easier. Can these clamps be used for inset drawers? BEST ANSWER: Yes, they can be used, the drawer will not close all the way, but you can see and adjust your alignment, then using washer head drawer front screws and enlarged holes, you can adjust drawer front as needed. I use it to place the drawer fronts. 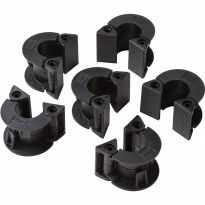 Can these clamps be used with Euro metal drawers like Grass Zargen or Blum Metabox? What screws come with it? BEST ANSWER: It comes just as the picture shows. You don't screw it to the drawer, you place the clamps on top of the left and right drawer side, clamp it to the drawer. Then put your drawer front in and lightly clamp it. 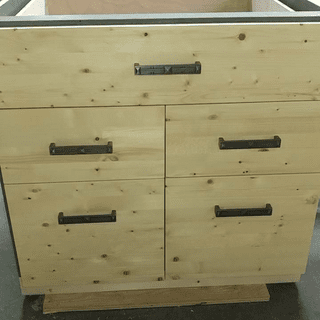 Then use the side to side adjusters to move the drawer front to where you want it to be,tighten the clamps on the drawer front and i always put 1 or 2 extra clamps on just to make sure it doesn't move when I screw the drawer box to the front. These are GREAT to use, it really helps alot.